Walter Moers. 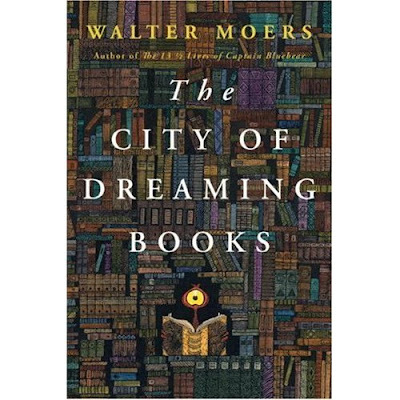 The City of Dreaming Books. Woodstock, New York: The Overlook Press, 2007. First American Edition. 456 pp. Maroon spine over yellow boards. Illustrated throughout by the author. Walter a biblio-fantasy of the highest order.